The best classics at the best prices—guaranteed! What makes Literary Touchstone Classics the number-one choice of teachers across the country? These affordable editions of beloved works are designed by former educators with the needs of both teachers and students in mind. To help students fully understand the classic work they’re studying, every Literary Touchstone Classic includes pre-reading notes that cite important aspects of the text that students should examine and question while reading. Each book also contains an extensive vocabulary list and a glossary that explains unfamiliar allusions and challenging passages. If you're looking for books that will last for years, Literary Touchstone Classics fit the bill. Sturdy bindings and high-quality paper ensure they'll hold up to repeated use, and they're always at least 50% off the retail price. Find the perfect book for your curriculum. 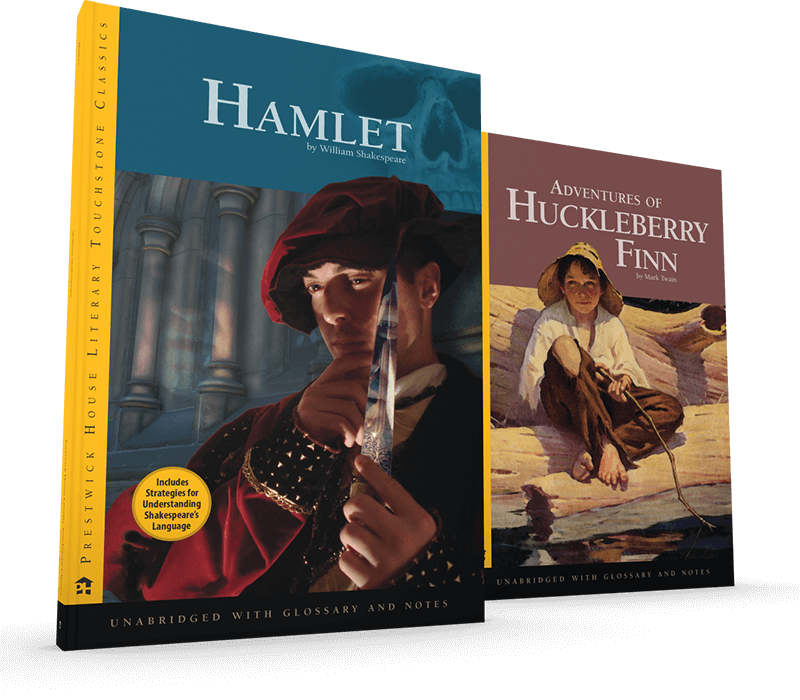 From Adventures of Huckleberry Finn to Wuthering Heights, we have your favorite classic literature here at Prestwick House! Search our extensive catalogue of over 1,300 books below!